Coming into April 1st Full Moon and Easter Sunday, we’d like to speak a bit about the deeper symbolism and process of resurrection and ascension, the Golden Flame and the White Flame of rebirth. Sananda, while embodied on Earth as Jesus, said to people, “Ye are gods, and all of you are children of the most high,” and “the kingdom of God is within you.” He walked on the Earth demonstrating within the duality field (and transmitting through it) the vibrational state of Oneness, of consistently held inner union with the Divine, the Inner Divinity which he expressed and gifted to those around him, as existing within all…and that when this union is aligned, full open and freely flowing, then abundance, well-being, joy, the inherent state of love and empathy in all life beyond and behind the veils of distortion, naturally radiates through our beings, through all life. While seen through separation from Source, these emanations of love and empathy/telempathy look like ‘miracles’, the impossible becoming real, but in Divine inner union, the miraculous is normal. Jesus by the Sea; artist unknown but appreciated. Easter as a Christian celebration of resurrection overlaid ancient goddess festivals of Spring in the northern hemisphere, with the fertility and birth symbols of rabbit and egg flowing forward (Easter is etymologically related to Oestre, Roman mother goddess name from which we get ‘oestrogen’, the hormone related to egg production and fertility). A deeper layer of the crucifixion and resurrection Jesus demonstrated shines through the heart, quite literally…through what sages have termed the ‘tiny cave’, which can only be entered with pure Love. In biblical accounts, Joseph of Arimathea, uncle of Mother Mary, took the body of Jesus from the cross and placed it in his prepared tomb, wrapping Jesus in a shroud, and three days later, Jesus returned from death in living form. He and many beautiful Christed Lights currently overlight the planetary ascension of Earth, holding the Way open, and guiding streams of activations for humanity to reconnect its awareness of the tiny cave within, shrouded in the cloth of pure Light, the inner sanctum of resurrection wrapped in crystalline light, activated through the ‘power of three’ that flows through creation as the energy of Divine Mother-Father-Child. From Sananda & his Twin Flame Lady Nada: There has been among you a belief in suffering, that ‘we all have our cross to bear’. To those who have agreed knowingly or unknowingly to the idea of suffering as necessary to learn, grow, cleanse, or rectify past vibrations, and have aligned with thoughts, beliefs, emotions and reactions with which you have crucified yourselves, we ask you now to allow yourselves to transform the ‘cross which you carry’, which you identify with or validate or project upon others, into pure Light, as light as a feather. For in the Heart as light as a feather, unburdened by constructs and their attaching energies, the point of Oneness, the cave of the indwelling Spirit which many have sought, is open to you, and the sacred White Flame within it may flow effortlessly through your being. Your connection within the infinite network of Love becomes luminous to you, and you are able to feel how you are bathed constantly in its presence, for you are present…and a gift of New Life. Let the old ways transform, dearhearts, and be wholly at ease in yourselves, in peace within your perceived realities. Joy, harmony, and lightness-of-being bring you through the Shifting frequencies in alignment with the Divine. Our Love is with you. Through this Full Moon and Easter, we invite you to fill every cell, every molecule of your body, and your aura/torus field with the most vibrant, life-filled Golden Light of Resurrection. Breathe it in from the heart of Source, and let it flow into your heart and through your being until you are a shining reservoir of golden light, the original ‘goldenprint’ of life resurrected and renewed throughout your physical and subtle light-strands, all your subtle layers ~ etheric, mental, emotional, astral ~ completely clarified and refreshed in the golden Christ light gifted from the Source. 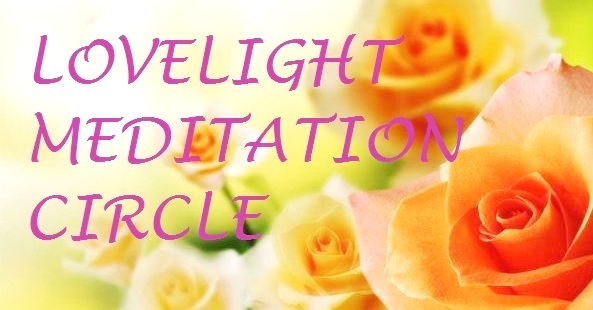 Then within your Heart centre, visualize a pure, glowing White Flame, soft yet strong, and see/feel how this Flame of Ascension effortlessly expands, flowing through and blending with the golden light. Feel yourself in sacred union with the Divine, it is within you always, radiating through your heart of Love…in Oneness with all of creation, with and as the eternal LoveLight of Source. PS: Throughout March, as the light frequencies have continued to amplify, our Angelic, Leonine and other higher dimensional brothers & sisters and soul expressions are constantly stabilizing and harmonizing the energies, and protecting the planetary field…and if any of you have moments/days/weeks of feeling the effects of the lower frequencies being ‘churned’ up to the surface for release, whether internally or in the collective, keep going into your Heart, release and transform any fears or doubts (which can be a heavy cross to bear)…and know that you are constantly surrounded and embraced in pure Love, in the eternal softness, strength, wisdom and unconditional kindness of countless loving beings. Just attune with the Divine within you, and know it is forever connected with all those who align with your highest good and the highest good of All, throughout this Ascension process and beyond. *For assistance with heart-centering, see the Inner Heart page.